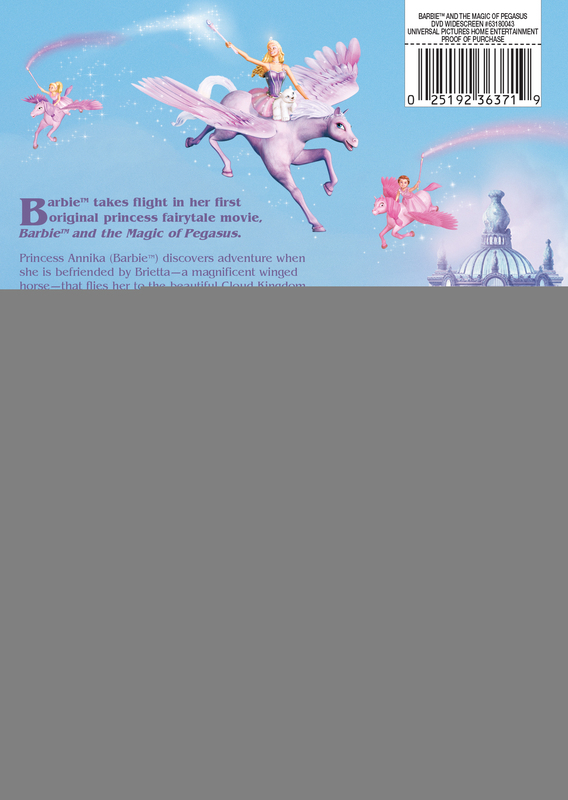 Barbie™ takes flight in her first original princess fairy tale movie, Barbie™ and the Magic of Pegasus. Princess Annika (Barbie™) discovers adventure when she is befriended by Brietta – a magnificent winged horse – that flies her to the beautiful Cloud Kingdom. Annika has only three days to break the spell of Wenlock, an evil wizard who has turned her family to stone. On her quest to defeat Wenlock, Annika meets new friends and together they travel to forbidden forests, skate through icy caverns and fly above the clouds as they attempt to build a magical wand of light. The score includes soaring themes from Beethoven’s Sixth Symphony. Fly with Barbie™ on her most amazing adventure ever!